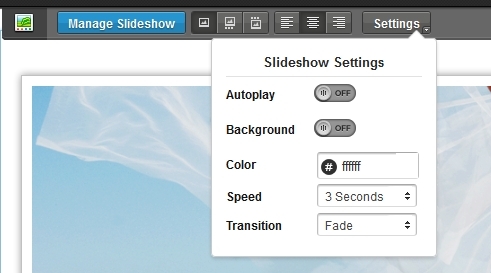 The Slideshow module is located in the “media” module tab at the bottom dock of the Builder. 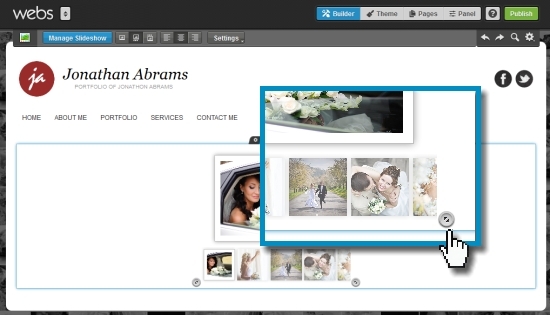 Once you drag the module into place on your page you can add images uploaded to your file manager or add new images from your computer. NOTE: For more robust features like adding text and links, you might want to try using the Carousel, instead. Click here for more information on how to add a Carousel. 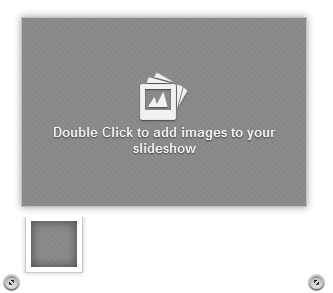 Once the placeholder is up, Double Click (the placeholder) to add images to your slideshow. Select an image to add by clicking a thumbnail under the “Select Photos” tab of the “Manage Slideshow” window. To select multiple images, hold down the Ctrl key of your computer keyboard as you click thumbnails. A blue border will appear around the thumbnails as you select them. If you want to add images that aren’t already located in your file manager, click Upload to select new images from your computer. Click Add To Slideshow to commit. Under the “Order & Captions” tab of the “Manage Slideshow” window, you can reorder, add a caption or delete images. Re-order by clicking and holding the thumbnail with your mouse to move the image back or forward in the sequence. Add a caption by clicking the dialog bubble that appears in the upper-right corner of the thumbnail as you hover over it. Delete an image from the sequence by clicking the x that appears the upper-right corner of the thumbnail as you hover over it. 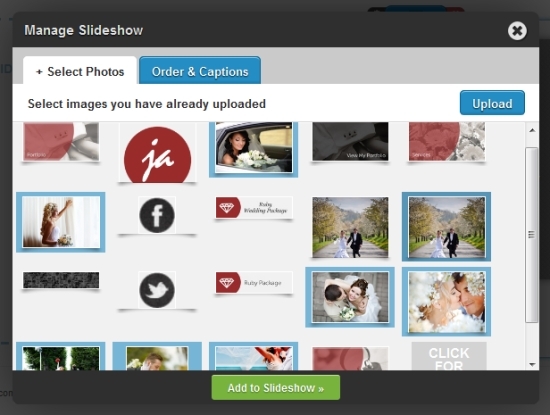 Once you have selected the images you want to appear in the Slideshow, you can begin customizing its appearance. Click and drag the handles that appear in the bottom corners of the slideshow to increase the size. 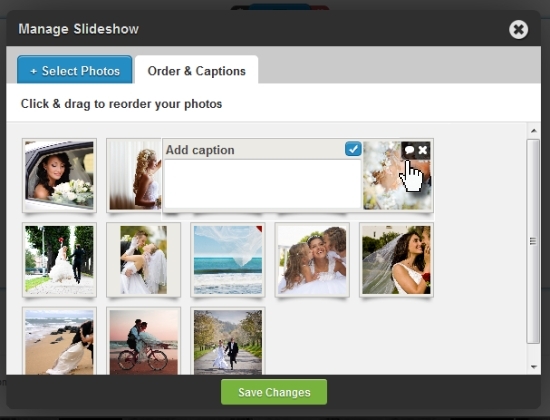 As you increase the width of the slideshow, you will increase the number of thumbnails that can appear at the bottom. Use the Settings dropdown to control autoplay, turn background on and off, set the background color, control the speed of the slideshow and select between different transition types.